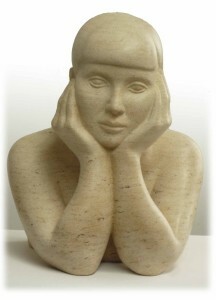 Patricia Barker is a figurative sculptor who works primarily in stone and also models in clay and wax. She aims to imbue her sculptures with feeling and a sense of presence. ‘When carving I use Ancaster stone, a cream limestone from Lincolnshire. This is partly for the ease with which it can be carved but also because of its grain – the small flecks of fossils embedded within the stone. 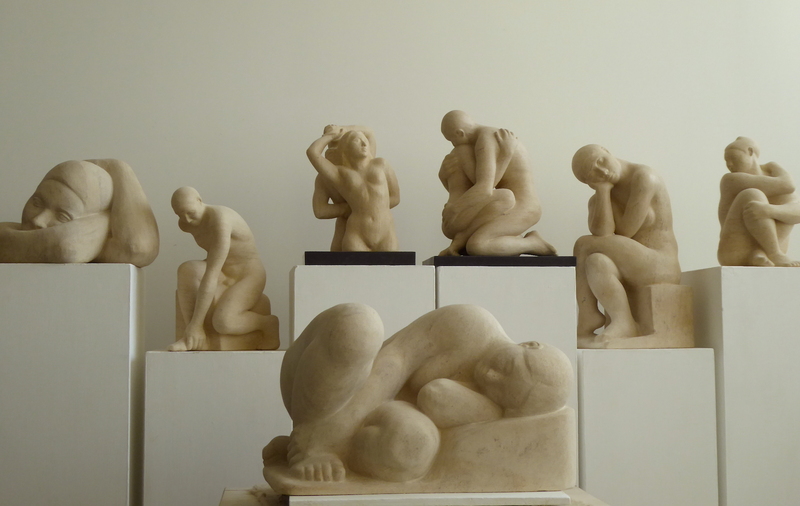 I enjoy the resistance of stone compared to the softness of clay or wax and the process of stone carving allows me to work more intuitively towards the final form. 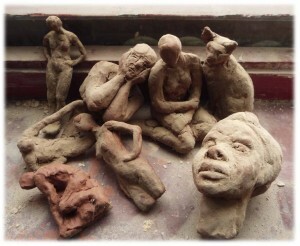 I enjoy clay modelling from life and the encounter that takes place with another individual through sculpture. In portraiture I am seeking to convey a sense of presence as well as a physical likeness. When modelling the figure my concerns are more with the anatomy and the dynamics of the pose.